The creation of the SNOW Block has done wonders in helping our neighbors get to know each other. One thing I hear over and over from people visiting the project is how they wish they could do something similar in their neighborhood. Well, for one night a year, it’s amazingly easy to do just that – no alley required. 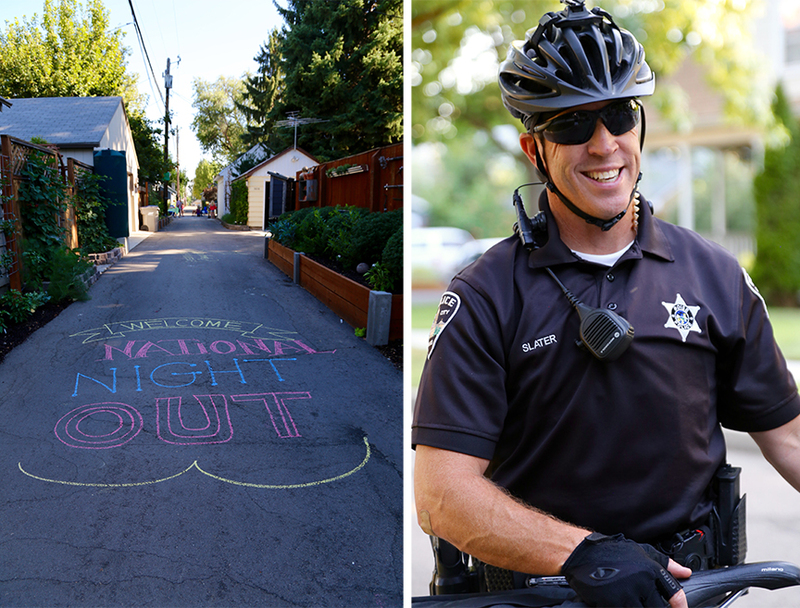 National Night Out is, according to their website, “is an annual community-building campaign that promotes police-community partnerships and neighborhood camaraderie to make our neighborhoods safer, better places to live.” Put in a more fun way, it’s a night to have a block party! Along with 52 other neighborhoods that signed up we also got a big bucket of party goodies that included balloons, coloring books, crayons, neighborhood safety information, blow bubbles, and popsicles. But let’s face it – National Night Out was just an excuse though for us to do what we do best…have a good time. The kids had a ball playing the giant Jenga game. But not to worry – the adults were having plenty of fun too. 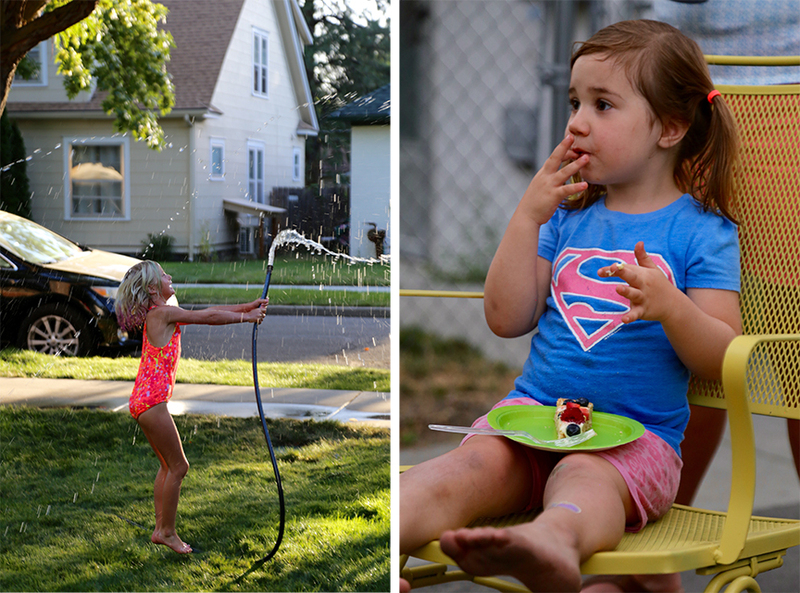 My best summer childhood memories often revolved around playing in the water and sweet treats. I hope our National Night Out helped build those kind of memories and that other neighborhoods realized it’s too much fun to do this kind of thing only once a year.